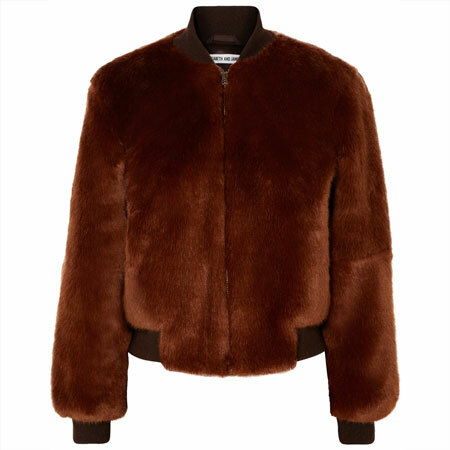 This item is nothing new for those of us of who wore them in the 70’s and 80’s. I even had friends who bought normal jeans and made their own tie-dyed versions with a good amount of bleach and a washing machine. Once you’ve toned down the punk aspect of these crazy jeans with the necessary sophisticated elements, you could end up with a fabulously alternative little look. Think sleek lines, tailoring, gorgeous shoes and dressy handbag. 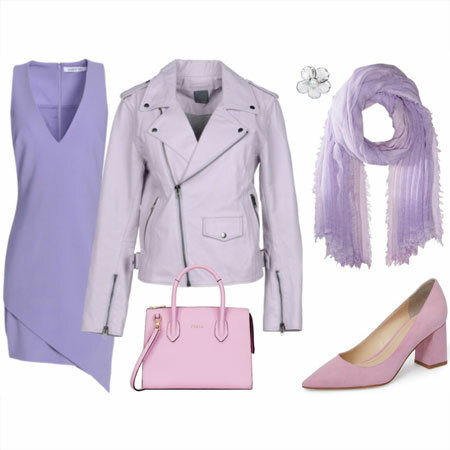 At the end of the day, style and sass is all about HOW you wear an item. I’m having a hard enough time wrapping my mind around plain skinny jeans for myself. I don’t think I’ll be going here anytime soon. I am afraid that they do not appeal to me a single bit. I could see it worn as you describe Angie, but I never would. When it comes to what I call ‘novelty’ jeans – where something is different about the traditional material/cut, I have two pairs of skinnies that are about as adventurous as I would go: one has tiny white pinstripes on black denim, and the other is made of ‘wet’ looking black material – too bad they are both too big for me at the moment, but hopefully I will fit into them soon. I like the black ones on the left. I probably wouldn’t wear them during the day, but at night, going out for dinner or something like that, I think they could be interesting. I would probably wear them the same way Fergie is wearing hers, with a blazer and heels. I only have one thing to say about anything tie-dyed: NEVER. The ripped jeans on the right are for teenyboppers. I have never sported ripped jeans and never will, but for youngsters, I guess it makes them feel cool. Ana, I would absolutely wear the jeans on the far left with a sleek top, super sophisticated jacket and black pumps. But I wouldn’t wear it with a biker jacket. Does that make sense? I can see you in the look too. Danja, tie-dye is SO not my thing either. But these look less boho somehow. I guess it’s because of the sleek edge that I see working with the look. I like the ones on the left also, but would definitely dress them up for a night out. Otherwise, not for me! How is this different than an “acid-washed” jean? I am going to pass. Any sort of lightened effect like this, tends to add pounds on me in all the wrong places. I can see them on Ana though! This look’s not for me, but I applause those like Fergie who can rock it! Hmm, I pass on this one too. It is already so hard to find “normal” jeans that fit! I agree with shiny — most of these add waaay too much poundage. The ones on the left aren’t so bad… I could see it if someone wore all black for the rest of the outfit for kind of a cloudy-sky-at-night effect. Still, I would never wear it myself, since I don’t wear skinny jeans or anything that adds bulk to the bottom half. I sort of like the ones on the left… Maybe if the rest of the outfit was spot-on AND I was willing to wear heels, I can see it being fab. The other two pair, not so much. Kudos to those who give it whirl, but I’ll take a pass. Oofta. Really going to have to pass on the blue ones. The black and gray are definitely more appealing to me. Probably because they’re shown dressed up and don’t appear to have holes. This seems like a tricky trend and I’d love to see it done well. Fergie’s jeans in that photo look like x-rays to me. Tie-dye belongs on oversized white t-shirts in my childhood memories of summer camp only. NOT on my current-day skinnies. 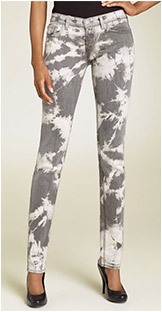 I see these as quite different from acid-wash, actually. To me, acid wash is softer and “blendier”, if that makes sense. My best friend has a pair of grey acid-wash skinnies from Club Monaco that I love, but the “design” is much more subtle on them. They’re actually ripped, too, but she rocks them with a boyfriend blazer and very dressed-up accessories. I agree that these are fringe, tough and edgy, and I would NEVER want fashion to be all mainstream, all the time. But they’re not for my wardrobe. Eeek! Gotta pass on these. I have seen them worn well by women of various age groups, but they still ook me out. This is so interesting. When I saw the caption of your blog post, I said to myself “ewww, never”. Then I saw the pictures before reading what you’d written and thought, “Hmmm… I can totally see myself wearing the black one but I would need to really be careful what I combine it with to still come across as polished and professional”. I really surprised myself! And agree with what you’ve written which I then read. Wonders will never cease. Now of course I may still never wear this if I have the same luck as with other jeans in terms of finding a high enough rise for my muffin top. I have to give this one a miss. Short muscular legs are not particularly skinny-friendly to begin with — but pattern just accentuates the issue! Few takers for this fringe look. That’s why it’s fringe! Very interesting. This makes me want to get the pair of jeans on the far left even more. Now that I think about it, tie-dye and acid wash *are* different. The effects look a little similar but the processes are different, to Ele’s point. I like the look but I’m not sure I’d want to invest in a piece like this that I’d wear so rarely. I already have plenty of plain skinnies that are more versatile. Looks like a big bleach accident to me! I suppose this style could work on the right figure/edgy person (ie Angie!) but I don’t think just anyone should be wearing these! Not for me, but I can see them being fun on the right person with the right other pieces. That’s why they’re fringe. I think I’ll give it a pass. This look might be acceptable if you’re a petite person, but someone bigger like me might risk looking like a spotted owl. Great alternative, but hard to get it right. I am amazed at what I am seeing here this morning. 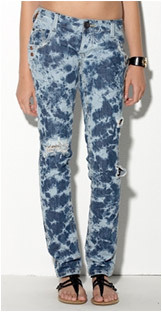 The last time acid washed jeans were in style I just hated them on men and women. I thought it was just about the worst thing I had ever seen anyone wear. How could they mess with denim like that. But this new version is MUCH better. It looks like it is more planned like art rather than so random. Sorry to over analyze. I think Fergie looks very nice and Angie would also look very nice sporting them with just the right flair. Angie, I would love to see you wear this look. Hmmm. I don’t actually hate them. That IS surprising. And I’m surprised that lots of others don’t completely hate them either. Let’s see them on Angie! 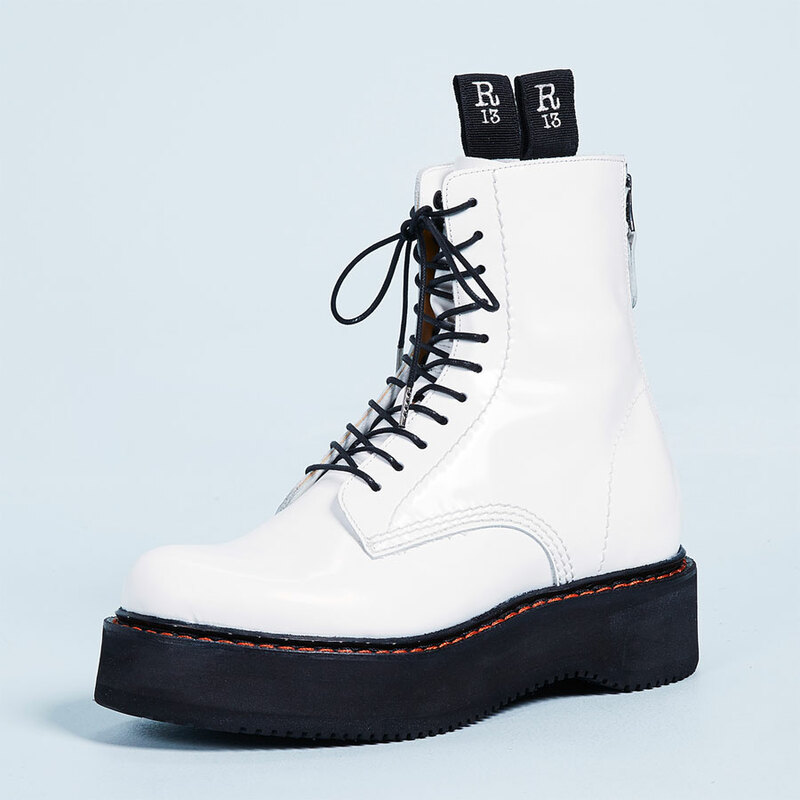 I think these rock …. on a rock star! Not so much on me. I like the ones in the middle best … the blue ones on the left are too much to look at. I like them, but I also like acid wash jeans so I’m used to being in the minority when it comes to denim fringe trends. 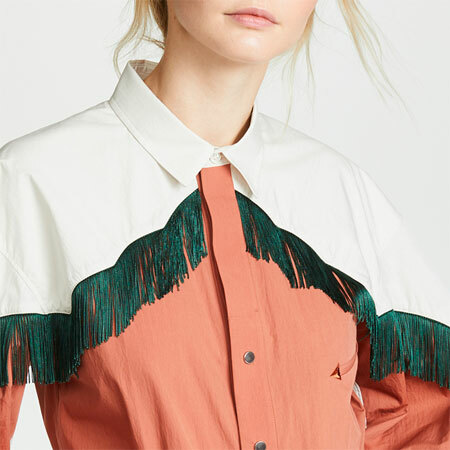 I don’t think I would be willing to wear them myself because I’m not very good at pulling off fringe trends, which are usually fringe for a reason (unflattering on most people). But that would probably change if I could wear those crazy heels Fergie is sporting. Ok, I admit it: I wear tie-dye (I’m sure many of you are not surprised)! Tasteful tie-dye, but tie-dye nonetheless. I just got a pair the other week at Bebe for about $35. Haven’t worn them yet, now I have an idea. I love the ones on the left and like the ones on the middle. I HATE the ones on the right (even for teeny-boppers–it’s the colour combo, ewwww, it seems too close to the original 80s style). I would only wear them if I lost 30 pounds, though! Angie, you better get some and sport ’em for us. I actually like these, especially the #1 on the far left of the Budget Babe site with Fergie that is more white than black. It looks more like a print or, as San said, a work of art. I also like your suggestions for styling them. However, I’ll enjoy them on others. Iwould sport these if I had a reason for extra denim in my wardrobe. I actually think these would work well for my body type. I am a rectangle with a little bit of triangle so emphasizing the lower half works ok for me. I like the first pair (black with white tie dye effect). I think these could look fun and dressy for evening, as others have said.I don’t care for the lighter colors because they look too casual. I won’t be buying them because my wardrobe needs to be more versatile, but with unlimited resources I would definitely incorporate these for fall. Too punk for me, however they could look good on the right person. Iforgot to add-strategic placement of the tie die could make a big difference on the wearability of these. A pair with less tie die around the hips and more near the lower legs would be most flattering, in my opinion. Ehh. I remember throwing a pair of these away when I was 15. And I probably only wore them once. I’m still glad I threw them away. Just another one of those… ‘looks good on models, but not on real people’ sort of trend. Angie, that makes perfect sense. A motorcycle jacket would be too punk/tough, almost costumey. 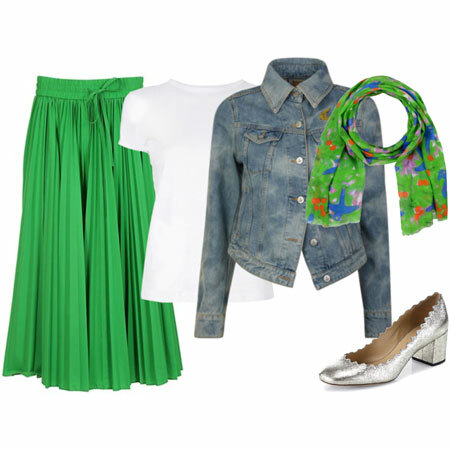 The rest of the outfit needs to be more subdued and play a supporting role–these are a statement on their own. Ah! A few more takers for the look. Taylor, Sandy, Laura, Maya, fathenry, Sihaya, Melody, Vani, Cathy, Anna, Brianna, Ana, Sarah and Joy – thanks for chiming in that you see the possibilities that I see. I’m convinced that the non-torn versions are stylish on the right lass with the right attitude and sophisticated edge. I hope to give these a bash. These look artistic to me, I would try them. I really like these jeans!! What can I say, I’m a sucker for tie-die!! My tie-dyed singlet is now so overworn and on its last legs I am contemplating buying some dye to try and recreate it. Plus I don’t have the sophisticated blazer/jacket to pull off the top half successfully I don’t think!!!! whoa. i love those. maybe it’s because they’re different, i have no clue, but they’re amazing. (: i made some in the 8th grade, (i’m a youngin’ i know.) and my friends loved them. At first, I thought “no way”.. but alas, I just ordered a pair of Siwy in superstition (tie dye) and I can’t wait to pair them with my black over the knee boots. I think they will look fabulous. As been said – not a trend for anyone, but I’m going to give it a go anyways. These can look good as long as they fit nicely and look like jeans, not leggings. We had a model show up to a shoot in them and the pretty young skinny beauty missed the grunge look by a mile with the cheap bright overpowering blue leggings.